Join the Kruger Newsletter and you’ll be entered for your chance to win a 1 Year Supply of Kruger Paper Products! 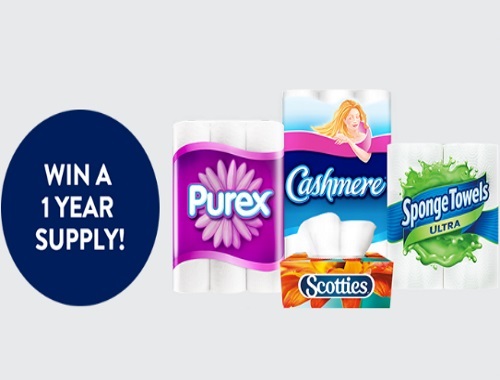 A year's supply of Cashmere, Scotties, SpongeTowels and Purex – Canada's best-selling tissue products – could be yours! Winners will receive 360 rolls of either Cashmere or Purex bathroom tissue, 64 rolls of SpongeTowels paper towel and 96 cartons of Scotties’ facial tissue! A new winner is selected every month!